J.M. Field Marketing is the ideal company to outsource your cruise material fulfillment needs. Our fulfillment center offers many different benefits including inventory management, reverse logistics, warehousing, order processing, EDI, freight optimization and returns management. When you outsource your cruise material fulfillment services to J.M. Field Marketing, we’ll work with you to make sure that your customers are unaware that their orders are coming from a third party. Depending on your preferences, we’ll package the orders in a generic or branded box. Whatever your cruise project or program may be, J.M. Field Marketing is your full service cruise material fulfillment partner. Our services are tailor-made for your needs. We can create an order website for your employees and customers to order your cruise products and apparel. Many customers love cruise products in their rooms, such as sheet sets, towels, soap and other items, and they will often purchase those items from your website or cruise gift shop. As an alternative, for those looking for a complete cruise material fulfillment solution, we provide call center services which enable customers to shop by phone. With our call center shop by phone service in place, we can access products on a consignment basis and take charge of all of the back end processes, including charge backs and credit card returns. Forget the Rest, Choose the Best! At J.M. Field Marketing, we make sure the orders reach their designated distribution centers and customers efficiently and quickly. Our efficient cruise material fulfillment service is sure to increase your customer satisfaction. We offer a broad collection of shipping options including rush shipping to meet your deadlines. Rather than spending a lot of time and money choosing which logistic methods are best, trust our experience. J.M. Field Marketing will save you time and energy. 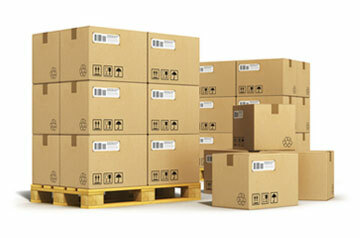 You choose the logistic services most appropriate for your needs. Once the program is operational, we will assist you in monitoring your shipping history and give our best insight. We are the best fulfillment company for all your cruise material fulfillment needs. © 2019 Cruise Fulfillment. All rights reserved.